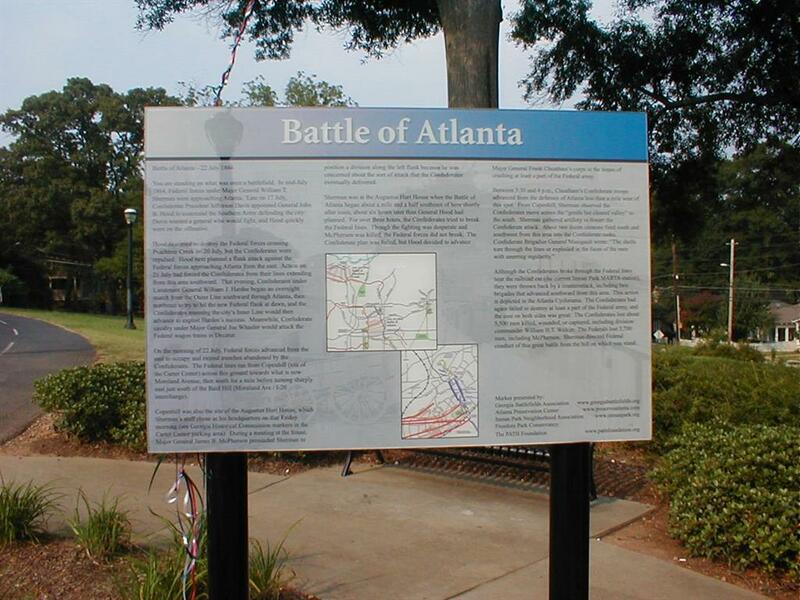 Georgia Battlefields Association (GBA) is a private, non-profit organization established in March 1995 for the purpose of preserving Georgia's Civil War battlefields. The Internal Revenue Service recognizes GBA as tax-exempt under section 501(c)(3). To see our latest IRS letter, click here. While the Georgia Battlefields newsletter provides monthly updates on our activities, here are some of the things we've done over the past few years. 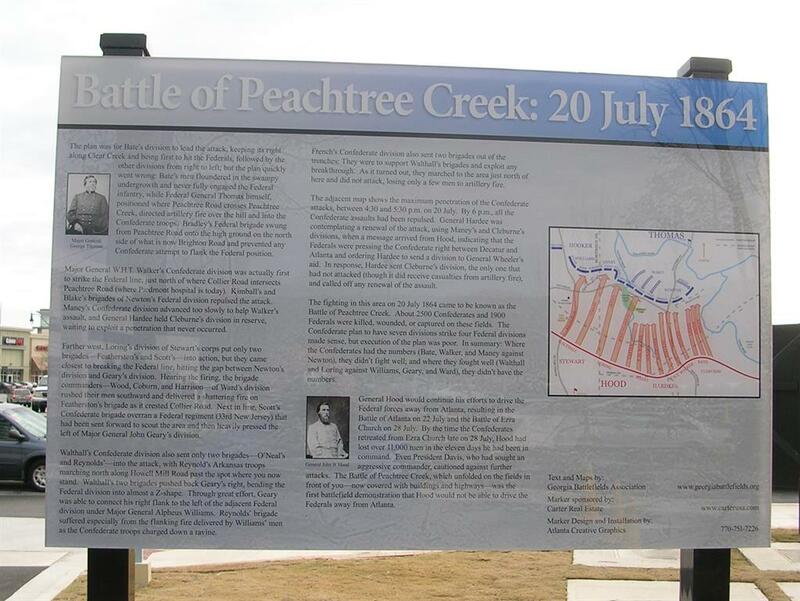 Upon recommendation of the Atlanta History Center, Georgia Battlefields Association was contacted to participate in a live interview for i24 TV on 17 August 2017. We also participated in a half hour recorded interview on 24 August 2017. Georgia Battlefields Association received the Georgia Historical Society's 2013 Preservation Partner of the Year Award at a ceremony at the 11 June 2013 meeting of the Civil War Round Table of Atlanta. The award is shown below. In the photo (left to right) are GBA trustee Gene Murphy, GBA president Charlie Crawford, GBA trustee Dr. Joe Trahan, Georgia Historical Society president Dr. Todd Groce, GBA vice president Cindy Wentworth, and GBA trustee Dr. Mary-Elizabeth Ellard. 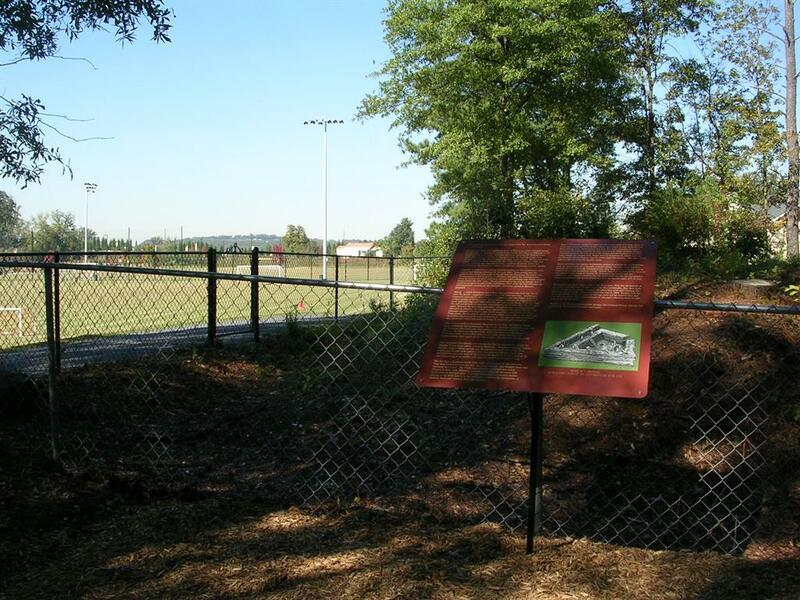 · GBA contributed $25,000, the entire cost, to purchase 7 acres containing Confederate infantry and artillery earthworks on Potato Hill in Crow Valley, north of Dalton. 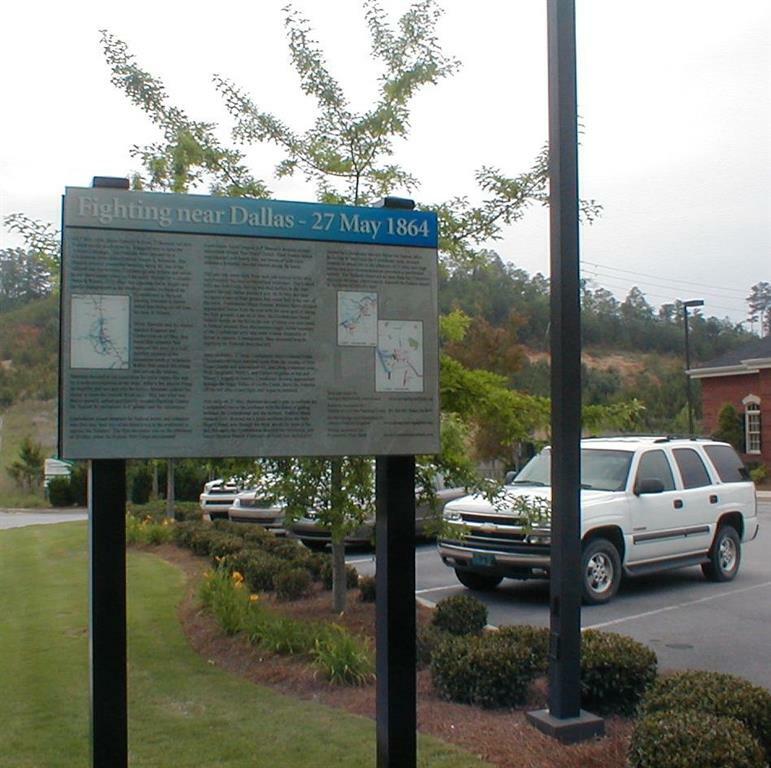 The land was donated to Whitfield County for use as a public park. · GBA contributed $15,000 to purchase an adjoining 4 acres on Potato Hill, north of Dalton. 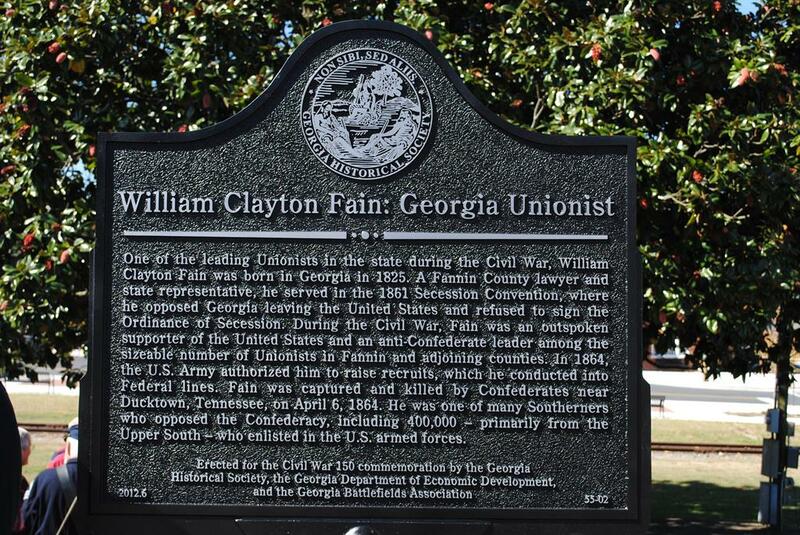 The land was donated to Whitfield County for use as a public park. · GBA contributed $50,000 towards the cost of a conservation easement on 473.48 acres of the Resaca Battlefield. · GBA contributed $75,000, almost half the cost, towards the outright purchase of 51.02 acres at Resaca. This parcel contains the earthworks of the Confederate artillery battery commanded by Captain van den Corput and captured by the Federals on 15 May 1864. 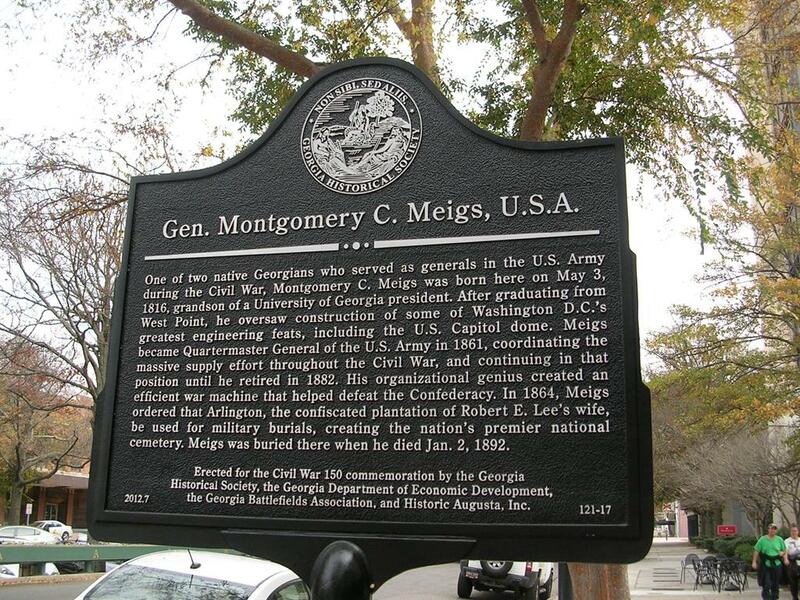 · GBA contributed $5,000 towards the purchase of property at Reed’s Bridge, part of the Chickamauga battlefield. 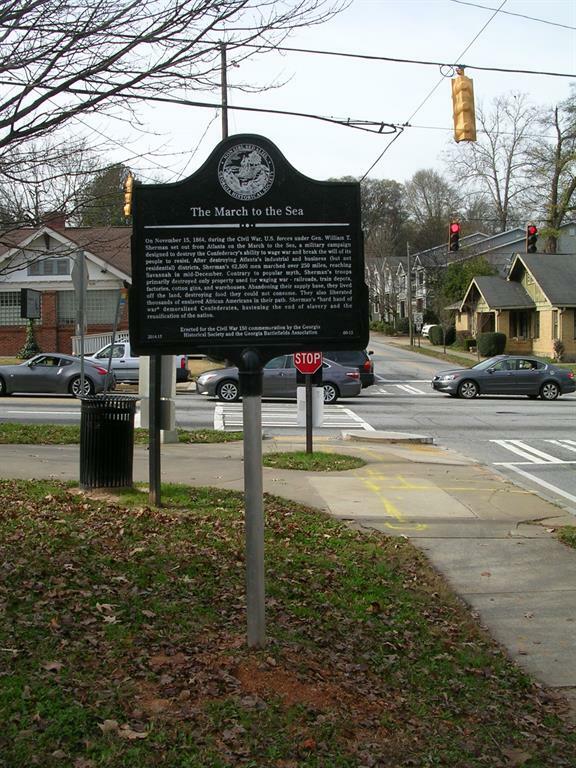 · GBA contributed $6,000 towards restoration of the Walker and McPherson monuments in Atlanta. 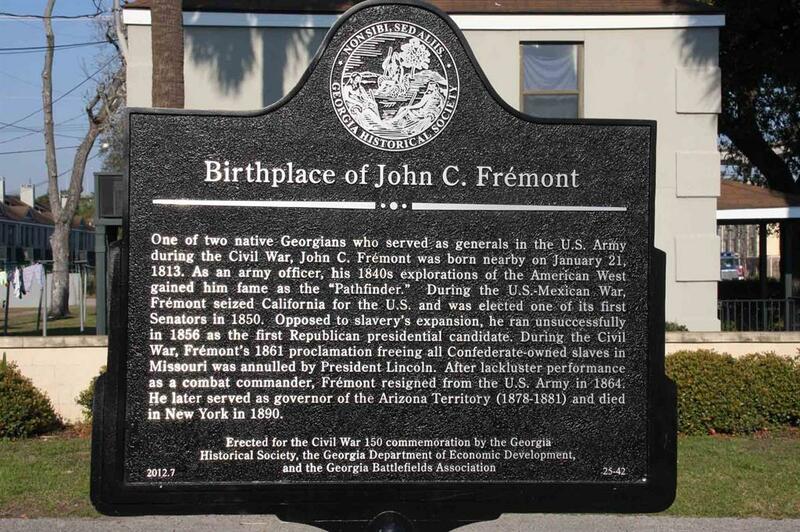 · GBA assisted the Georgia Historical Society in its efforts to install new historical markers, specifically in conjunction with the Sesquicentennial. 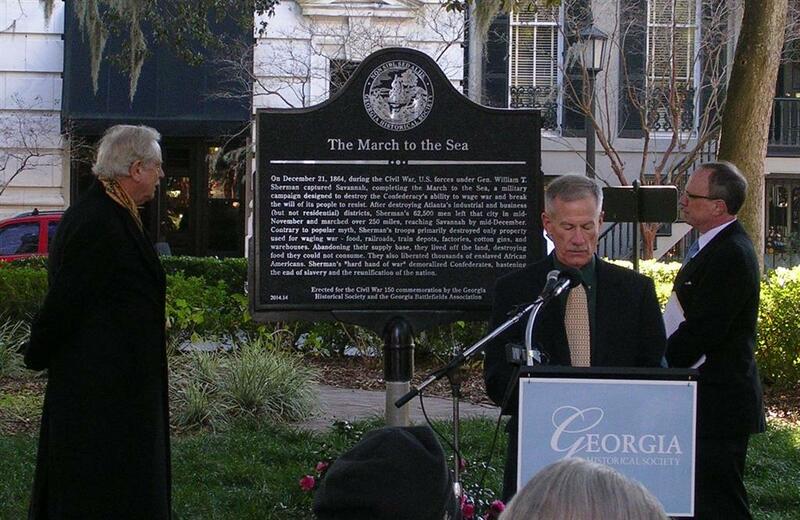 GBA helped pay for the production of the markers and also helped prepare the texts. Ten markers were installed. 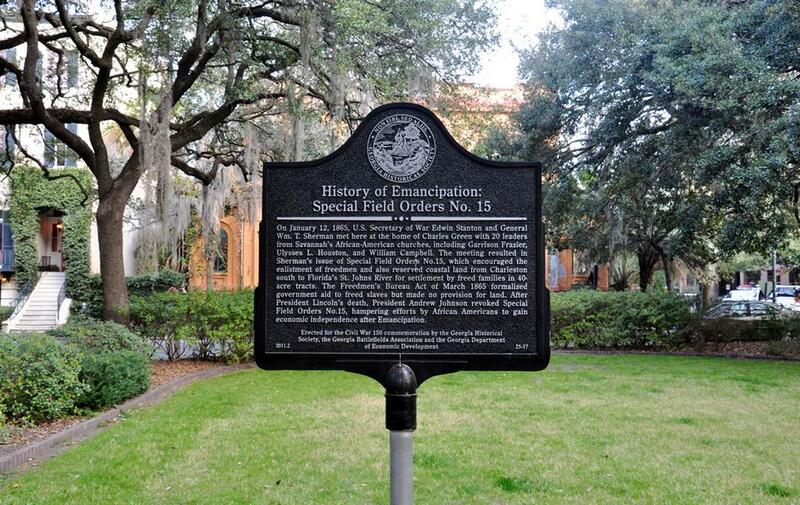 · The GBA newsletter continues to feature “150 years ago this month” articles chronicling the events leading up to secession, the outbreak of conflict, the course of the war, and reconstruction, especially as they affected Georgia. · GBA was represented on the state of Georgia’s Civil War Sesquicentennial steering committee. 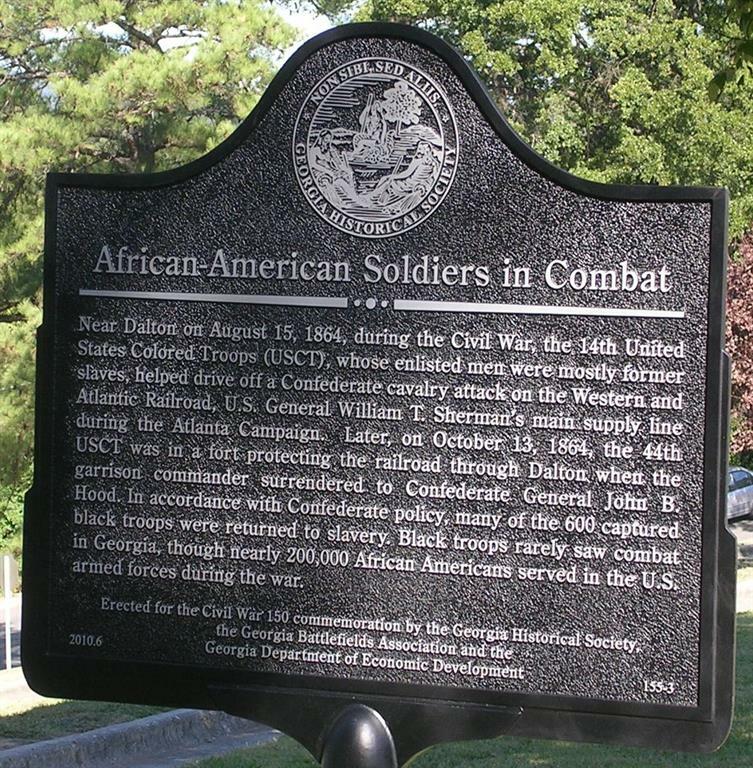 · The update to the 1993 Civil War Sites Advisory Commission (CWSAC) report was submitted to GBA for comment in May 2010. This revision, known as Civil War Sites II (CWS II), was subsequently published online. The American Battlefield Protection Program (ABPP) staff continued to correspond with GBA throughout the year and incorporated several of our suggestions into the CWS II report. 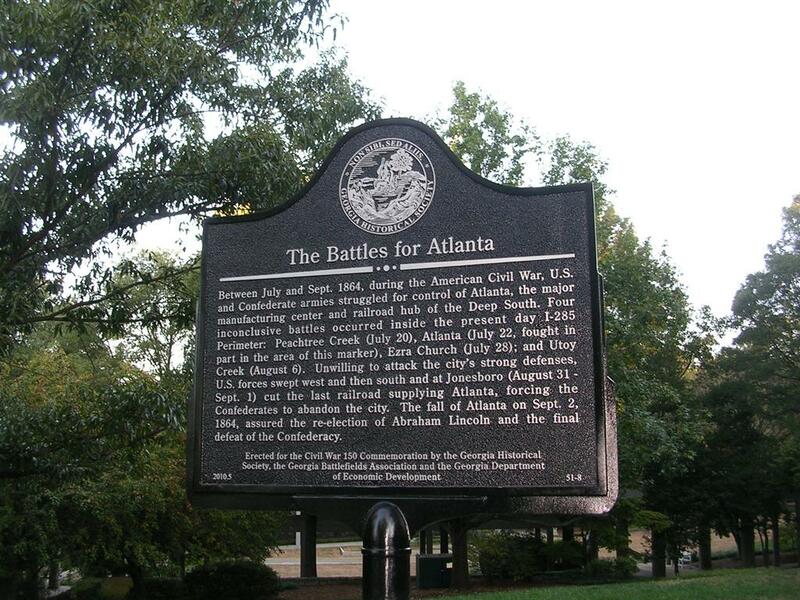 · GBA was asked to help the Civil War Trust identify preservation opportunities in Georgia. We started with the CWS II report and worked from it to lesser known sites and those where the potential for loss or damage was greater. · GBA assisted Atlanta History Center in the “War in Our Backyards” exhibit that opened in August 2010 and ran through October 2011. The exhibit demonstrated how much of Atlanta’s history has been overrun by growth of the city in the last 150 years and allowed people to see if their own backyards were part of the action. · In January 2010, GBA assisted the U.S. Forest Service in a field survey of sites (Dug Gap, Snake Creek Gap, and Ship’s Gap) on Forest Service land in northwest Georgia. · In conjunction with the National Park Service, GBA provided comments opposing a proposed cell phone tower near Davis’s Crossroads. · In June 2010, GBA commented formally on a Georgia Department of Transportation (GDOT) plan to modify the I-285 interchange at Atlanta Road. The work will affect a trench related to the River Line. 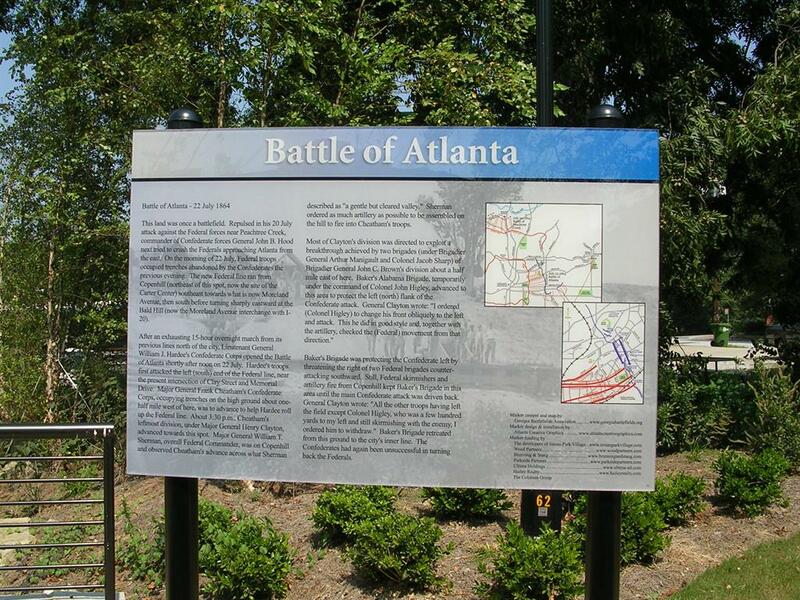 GBA’s participation in this effort grew into consultation on a larger GDOT project known as the Metro Atlanta Civil War Context Study. GBA attended a 24 August 2010 meeting and followed-up with a written response to the study proposal. A discussion with the Atlanta Regional Commission (ARC) representative participating in the meeting led to expanded GBA participation in ARC’s Regionally Important Resources initiative which began in 2009. GDOT subsequently solicited GBA’s comments on a plan to build a high speed rail line from Chattanooga to the Atlanta airport. GBA expressed concern about the numerous sites in this corridor, listing several of the more significant sites and recounting the detrimental impact already made by construction of I-75 and residential development. 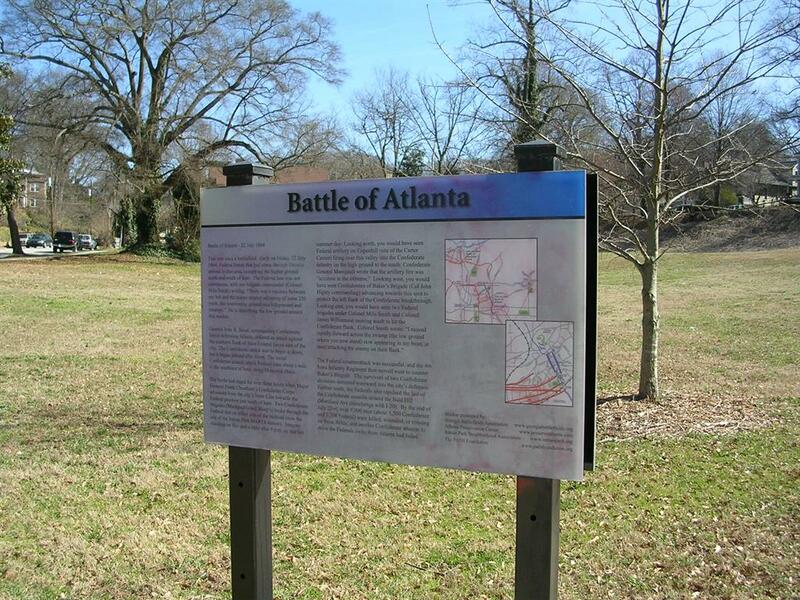 GBA advocated for a convergence of national (ABPP), state (GDOT), and regional (ARC) listings of Georgia’s Civil War sites so that a common database may prevent the possibility of sites being overlooked in any plan. Working from the national listing (CWS II) as a core and augmenting it with the results of prior site surveys and studies should lessen the potential danger. 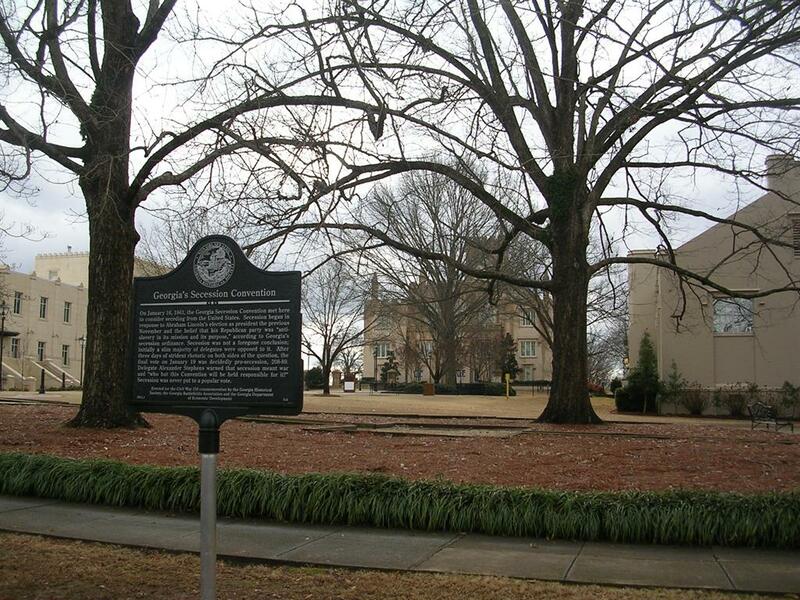 · Worked with other preservation organizations to install historical markers. · Organized Civil War site tours led by Ed Bearss, America's premier historic guide. 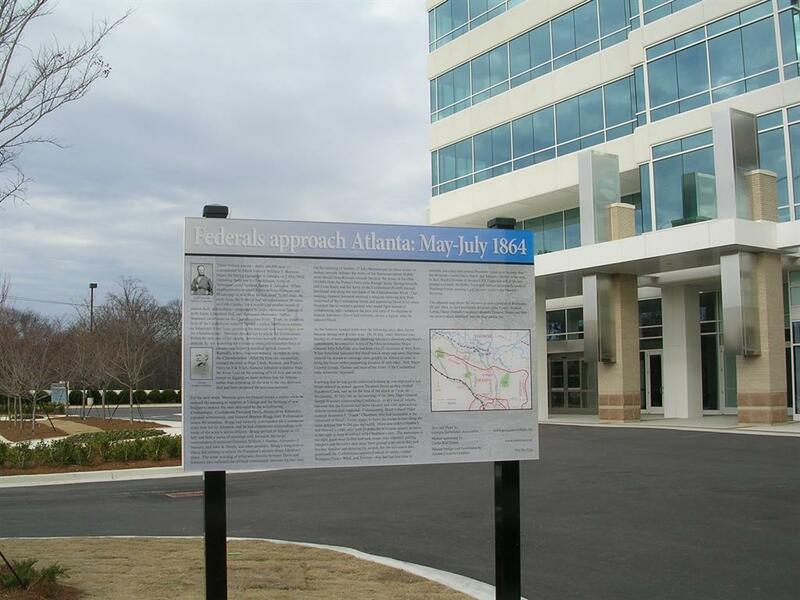 · Led tours of Atlanta area sites for civic groups. · Presented history and preservation lectures for local civic groups, such as Heritage Sandy Springs, Perimeter Adult Learning & Services, and Senior Enriched Living Services. 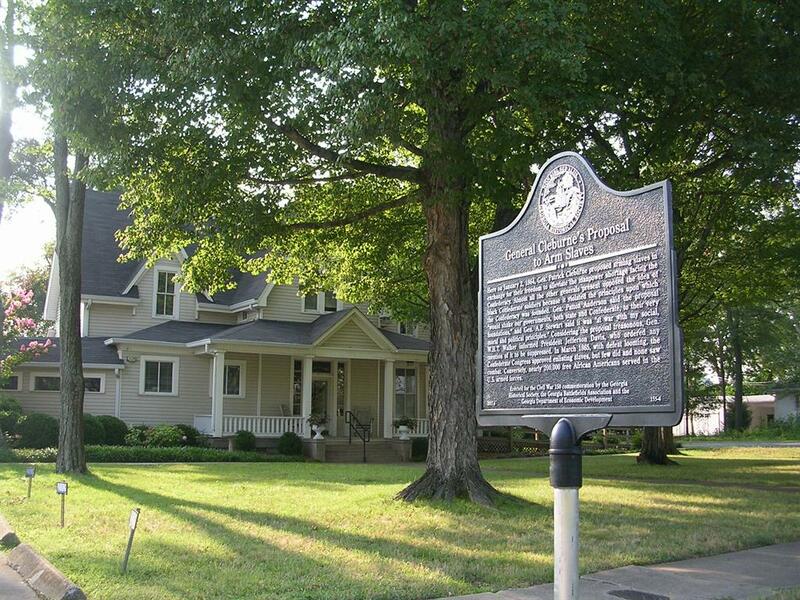 · Provided volunteer staff at Civil War Trust annual conferences. · Published monthly newsletter relating to preservation of Georgia's Civil War sites. · Owned and maintained 4.7 acres of battlefield property near New Hope Church. · Monitored status of threatened sites. · Provided expertise to other preservation groups and news media. · Attended Georgia House of Representatives Committee meeting in support of legislation to prevent disturbance of archaeological sites. · Testified before Georgia Senate committee on Electric Transmission Line location. · Donated $5,000 to and advised Kolb Farm Coalition on how to save historic property. 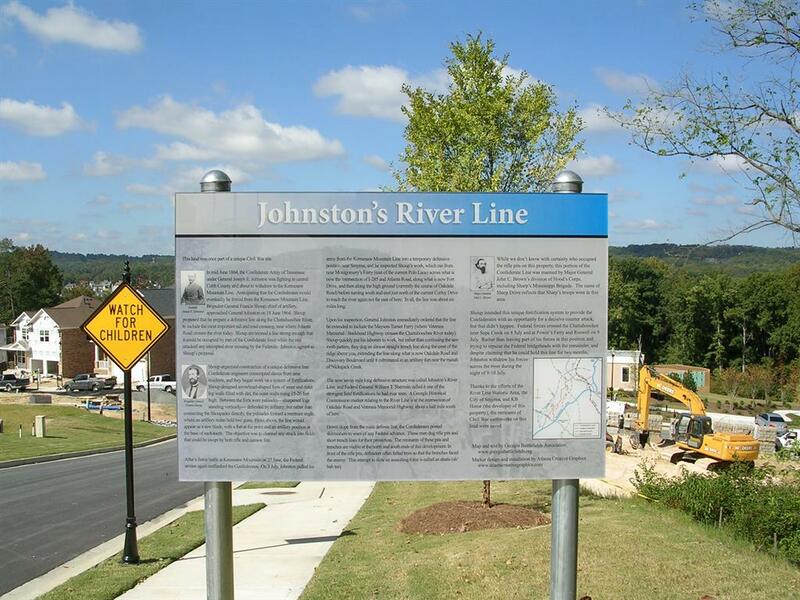 · Participated as a stakeholder in the Chickamauga National Park Transportation Study. · Helped Grant Park Conservancy and River Line Historic Area apply for American Battlefield Protection Program grants. · Appeared at county rezoning hearings to argue for preservation of earthworks threatened by development. · Provided written comments on proposed state legislation that would weaken the requirement for archaeological surveys prior to major road projects. 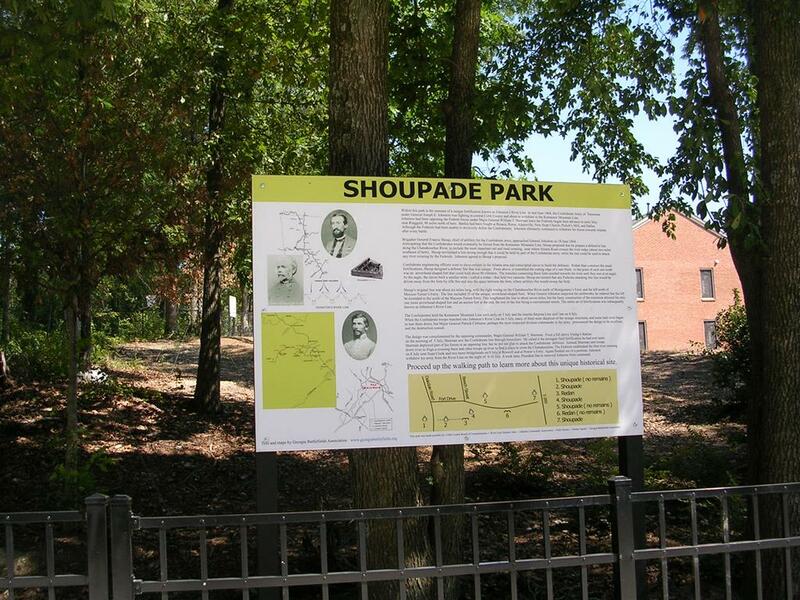 · Sent letter to Smyrna City Council to advocate preservation of Shoupade fortification.